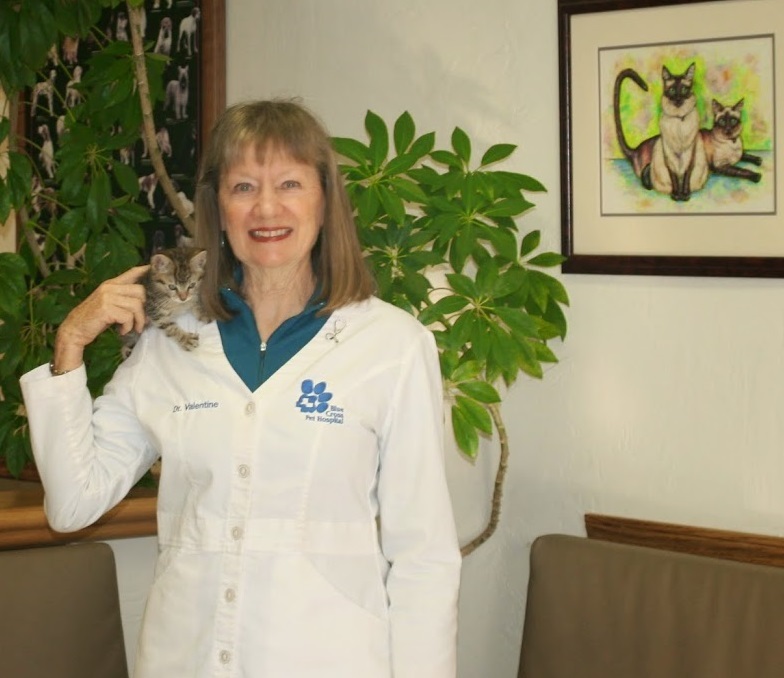 Dr. Roberta Raymond has owned Blue Cross Pet Hospital since 1988. She bought the clinic from the original founders Dr. Ben Dillon and Dr. Eugene Brauner who established it in 1958; at that time it was one of the original businesses along a quiet two lane Fair Oaks Blvd! Roberta wanted to be a veterinarian ever since she was a child growing up in the bay area. She went to UC Davis and received her bachelors degree in Animal Science and followed that with her DVM degree. She graduated from UC Davis School of Veterinary Medicine in 1985. She is very grateful to be able to care for the family pets of her loyal clients. Roberta enjoys trail riding and Dressage with her horses. She also enjoys cycling, wake boarding, gardening, piano, and of course many activities with her dog. Roberta lives near Folsom Lake with her husband Mike and the horses, dog, and cats. Dr. Lori Faber joined B.C.P.H. as an associate in 1992. Lori has special interest in rabbits, "pocket pets" and dentistry of our pets. Raised in Southern California and always pursuing the dream of becoming a veterinarian, Lori has a broad base of animal experiences. From pets to livestock she has worked with many different species from her childhood through her university education. She attended UC Davis for both her Bachelor's of Science in Animal Sciences and Master's of Reproductive Physiology. 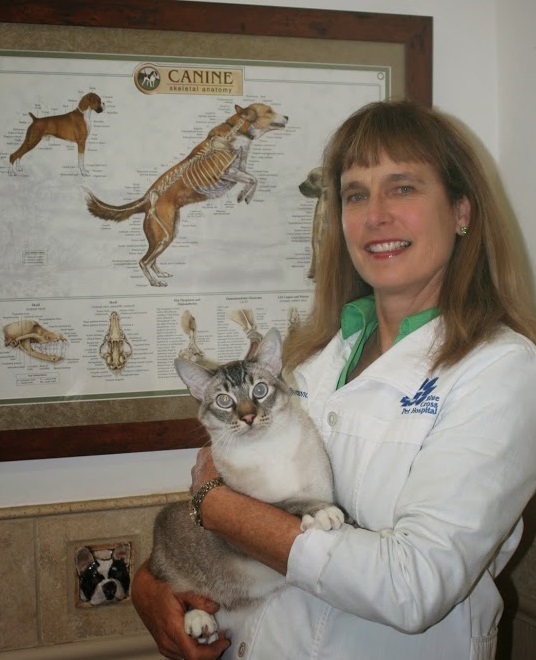 Continuing at UC Davis School of Veterinary Medicine she graduated with her DVM degree in 1992. The challenges of small animal medicine and many rewards from the pets and clients of B.C.P.H. have kept her from returning to the beloved cows and goats! When she isn't here at B.C.P.H., Lori's hobbies include snow skiing, hiking, kayaking, gardening, and enjoying her many different pets. Dogs, cats, a parrot, birds, a rabbit, guinea pigs and fish are the current list of critters in Lori's family. Keeping up with family and friends occupies any other time after that! Dr Berge started her career with Blue Cross Pet Hospital as a RVT from 2000-2011. She obtained her Bachelor of Science from UC Davis in 2010. She then attended Kansas State University where she obtained her DVM in 2015. Dr Berge returned to Blue Cross Pet Hospital in 2016 as a DVM and we were very excited to have her back. Dr Berge comes from a large family, and was born and raised right here in Carmichael. When Dr Berge is not working she enjoys attending SF Giants games with her husband, hanging out with her nieces and nephews, and spending time with her dogs and tortoises. 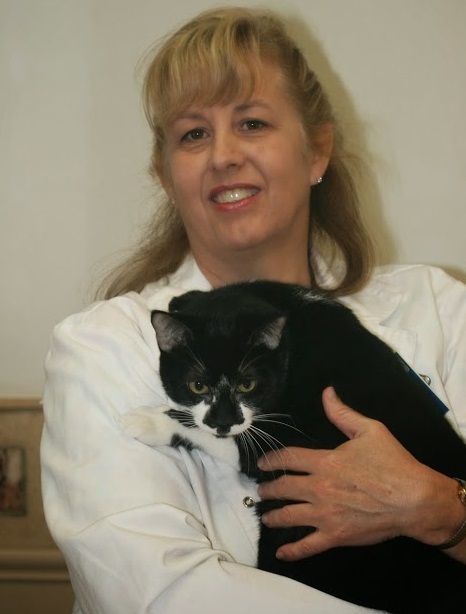 Dr. Treva Valentine joined Blue Cross Pet Hospital in 1990 to practice with her veterinary classmate Dr. Roberta Raymond. Coming to B.C.P.H. was the best career decision she ever made. The clients and the work environment could not be better. She was raised in Southern Arizona and Southern California coming to the Sacramento area in 1981. She received her bachelor's degree from San Diego State University and her DVM degree from UC Davis School of Veterinary Medicine in 1985.